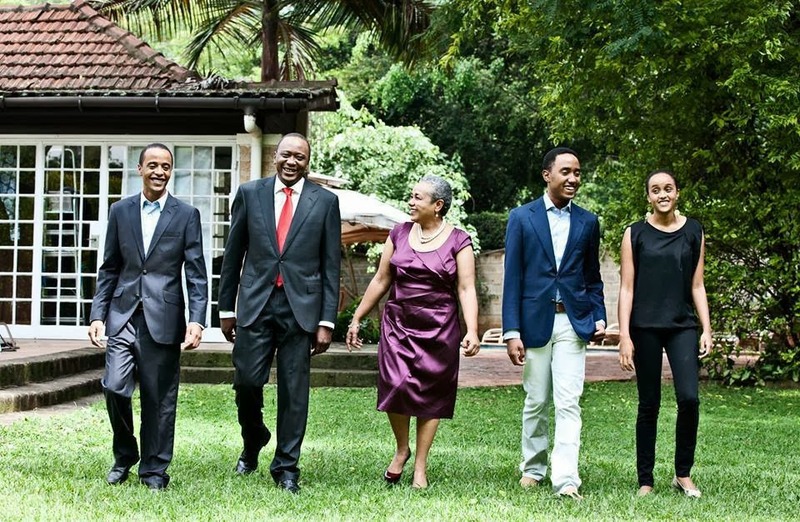 Uhuru Kenyatta’s Net Worth: The merger between NIC Bank and the Commercial bank of Africa has unearthed how two of Kenya’s most prominent families share their wealth. The merger of the two banks is currently estimated to be worth Sh. 65 billion. According to a report that appeared in the Business Daily on Tuesday, The Phillip Ndegwa family, which founded NIC Bank, will own an equivalent of Sh. 8.6 billion following the merger. Renowned businessman and deal maker, Naushad Merali will own a stake worth Sh. 1.9 billion. Most notably, though, the Kenyatta family, which is the force behind the Commercial bank of Africa will own a 13.2 per cent after the merger. “The Kenyattas currently hold a 24.92 percent stake in CBA while the Ndegwas have a 25 percent interest in NIC. Mr Merali will end up with a 2.9 percent equity based on his present direct ownership of a 5.6 percent stake in CBA,” says the Business daily report. President Uhuru Kenyatta with his mother Mama Ngina Kenyatta. 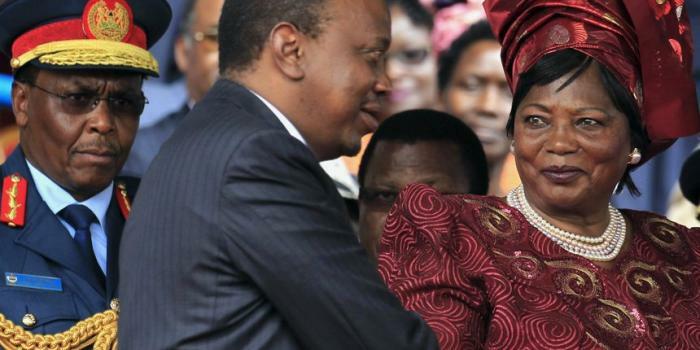 The report says that President Uhuru Kenyatta, his brother Muhoho and former First Lady Mama Ngina Kenyatta will together directly hold stakes worth a combined Sh. 8.5 billion. The Business Daily estimates that Uhuru, Muhoho, and Mama ngina will each hold an approximated equal share of 2.8 billion each. James Ndegwa and Andrew Ndegwa on the other hand will hold stakes of Sh. 2 billion each. The Business Daily also reports that once the merger is complete the new entity will be divided into two. “Upon completion of the transaction, the businesses will be organised into banking and non-banking operations. The banking unit will comprise lending and deposit-taking businesses. It will also include a company to house all the digital banking services, including the microcredit platform M-Shwari.